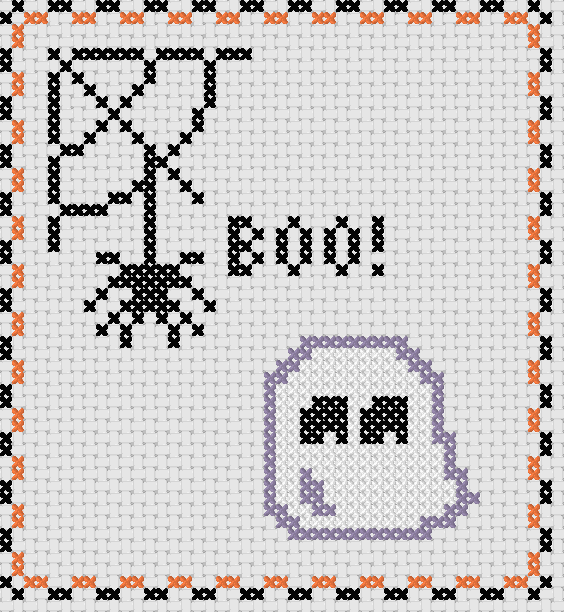 Naughts & Cross stitches: It's My Birthday! Well not today ... on Wednesday but since I want to put up my normal WIP Wednesday post (I want that to become my new thing then at least you know when I'm definitely going to post.) 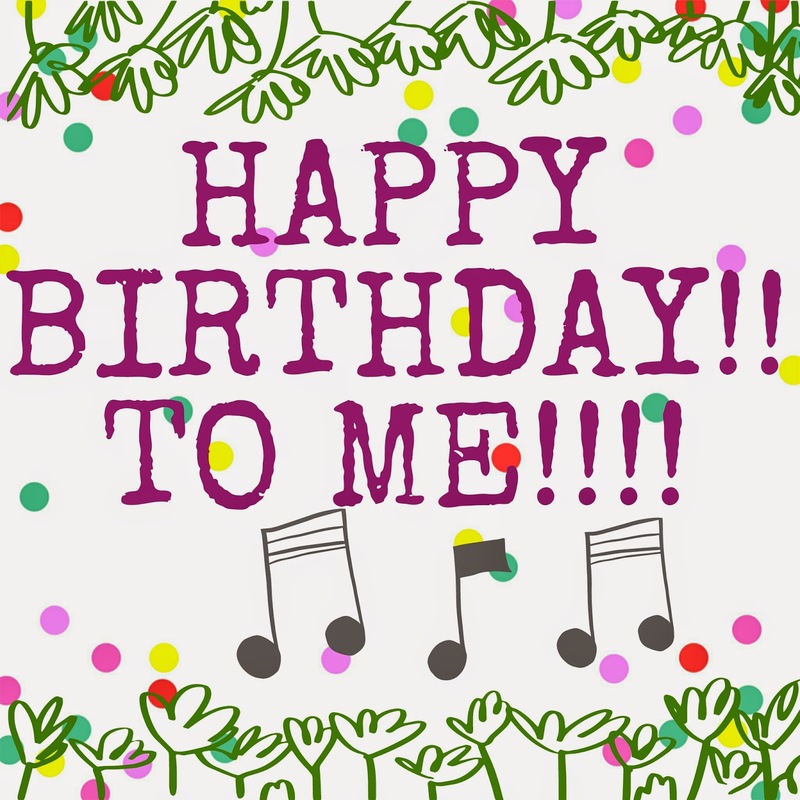 I am going to celebrate my birthday on my blog today. I was trying to think about what I could do, something special since I usually forget about it, and I looked through my patterns and came up with this. I made it as a companion to my witch a couple of weeks back now but I never managed to get it over to my big computer so I could turn it into a PDF. So now using my little computer I turned it into a PNG and you all get to share in my awesome Ghost. 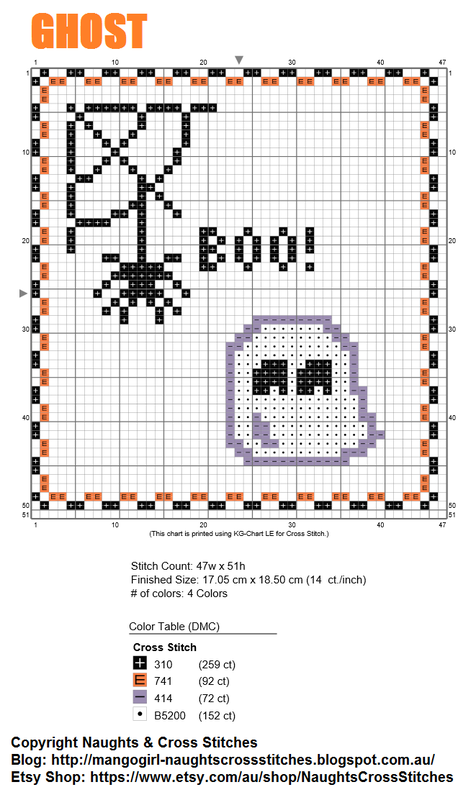 (don't know how to post PDFs to share) You can buy the witch pattern from my etsy store. So enjoy my birthday present to you :D You should be able to right click on the image and save it. Though please despite it being a free pattern don't share it around I would prefer it if you direct people to my blog instead. So Happy stitching and if you complete my little guy please send me pictures I would love to see it. Cute pattern, thanks. Hope you have a great day! What a super-cute pattern. Thank you - and HAPPY BIRTHDAY TO YOU!!! Hope it's a grand day. Happy Birthday Caitlin. Cute design. This is SO cute!!! Thanks!!!!! Happy Birthday Caitling, thanx for sharing this lil guy with us.